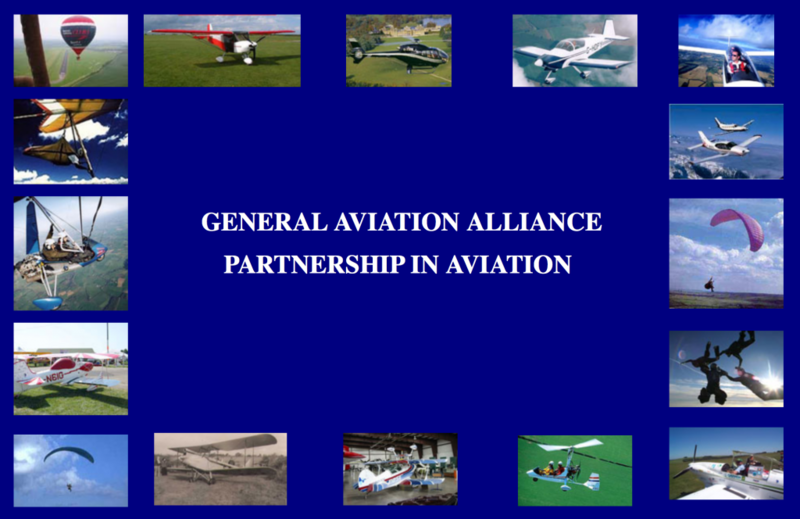 In a strong indication of where it sees future battles to be fought, the General Aviation Alliance (GAA) is advertising for an Airspace Support Consultant. The (GAA) represents key organisations in the UK General Aviation (GA) industry. It was formed in 2004 to address the need for co-ordinated response to UK regulatory issues. Members of the GAA include: British Balloon and Airship Club (BBAC); British Gliding Association (BGA); British Hang Gliding and Paragliding Association (BHPA); British Microlight Aircraft Association (BMAA); British Parachute Association (BPA); Helicopter Club of Great Britain (HCGB); Light Aircraft Association (LAA); PPL/IR Europe – European Association of Instrument Rated Private Pilots and the Royal Aero Club of the United Kingdom (RAeC). The GAA works on behalf of about 72,000 subscription-paying members of these organisations. The GAA say that airspace is a valuable and limited resource and that GA cannot thrive without reasonable access to large amounts of airspace and therefore protecting and developing GA’s airspace access needs is a significant part of the work carried out by GAA member organisations on behalf of pilots, clubs and others involved in GA. That work is acted on individually and collectively within what is known as the GA Alliance airspace team. The GAA are seeking an ‘Airspace Support Consultant’ to provide contracted remunerated airspace project support services to GA Alliance member organisations through the GAA airspace team. In particular, the role includes ongoing proactive awareness, research and analysis of strategic and local airspace issues as well as the development with others of potential solutions resulting in guidance to the GA Alliance member organisations. The closing date for applications is 9th September 2017.